With the development of rural technology progress and the unsuitability of more advanced large oil mill, small scale oil mill has been built in many regions. Among those, there are plenty of mini oil mills for home use have been built, especially in rural regions. So-called mini oil mill for home use is a series of oil production equipment connected to realize the continuous production at home, which is called home use mini mill as well. A complete oil mill comprises of the following parts, including oilseed pre-treatment, oil extracting, oil leaching and refining; each part has its own unique features. But for different oilseeds, the actual production processing is not the same as that processing above. 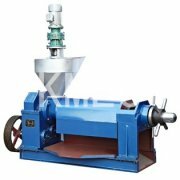 For example, for making peanut oil, you should equip a husking machine to peel the peanut shells in pretreatment processing; for making cottonseed oil, you should use another machine for husking and delinting. 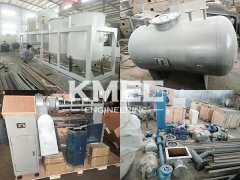 And don’t worry about the problem, we can customize the home use mini oil mill according to your oilseed type and your actual requirements. How To Start Mini Oil Mill For Home Use? Raw material is the most important thing for oil production. You should make sure if your raw material is able to produce more oil, which is called oil content of the raw material. The oil content affects the finished oil content greatly. the common raw material with high oil content are sesame, sunflower, linseed, canola, palm kernel, cotton, olive etc. Due to the mini oil mill can not only be used for making home use oil but also can be used for sale oil, so you should decide the purpose which affects the oil production processing as well. If you make oil for sale, the raw material supply and the local oil market should be considered; if you make oil for self-use, some of the processing can be reduced. Oilseed pre-treatment is composed of cleaning, hulling, crushing, flaking, softening, cooking, which is to make the best quality oil cake for next extracting processing. In the second stage, the pre-treated oilseed is placed into the oil press for getting crude oil. After that, the oil seed enters into the leaching processing to separate with the impurity. At last, the oil from leaching processing comes to the refining processing for degumming, decoloring, deodorization, dewaxing and fractionation. Why Choose Mini Oil Mill For Home Use?  Almost all the oilseeds into oil can be made into oil, such as, sunflower seeds, cotton seeds, palm kernels, soybeans, sesame seeds, peanuts, coconut, castor, rice bran, rapeseed/canola/ mustard, corn germ, copra, peanut, tea seed etc. 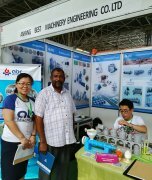  Mini home use oil mill can help people from rural regions buy finished oil with low cost and also help them make more profit by selling home made oil, improving their economical life level.  Oil cake, produced in the oil production processing, can be used for feed livestock and poultry due to its high nutrition, helping the farmers enrich the animal feed nutrition.  The home use mini oil mill is designed with small size, simple stricture, covering a small area, is easy to install, operate and maintain, saving resources and time.  Mini home use oil mill requires low cost, is also a good choice for the new investors who want to invest in oil mill industry. If you have interest in our mini oil mill for home use, you can feel free to contact us for more information.